Our members derive from diverse social, ethnic and religious backgrounds, and are spread throughout the world. We are united in our belief in the dignity of every human life. Possible Dreams International have ambassadors all over the world, ordinary men and women like you and I, inspired by the immediacy of the challenges facing Sub-Saharan Africa and the knowledge that together we can make change. 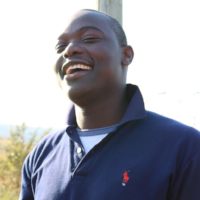 Ray is the Team Manager and Board Field Team Director, living in the Kingdom of Eswatini (Swaziland). 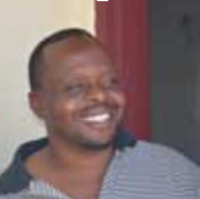 Ray represents the Field Team and eMaswati communities on the PDI Board and manages his team in Swaziland. Ray first got involved in Possible Dreams International in 2013, when he heard about the organisation through Mandy Hubbard and then met with the founder Dr. Maithri. Ray has qualifications in Business Administration and Human Resource Management. He has been involved in development work since the early 80s. First, with the US Peace Corps as a Trainer in several African countries, this role involved training trainers and providing Orientation to new US Peace Corps volunteers on Language and Cross–Cultural adaptation. This was followed by a position as a Program Manager for the Peace Training Program in Swaziland. After this, Ray worked for several years in different USAID funded projects in Administration and Finance, which were the Primary Health Care Project and then Education Policy Management Training Project. Ray has 20 years of experience working with International Infant Nutrition Program. Ray joined PDI in 2015 as the Swazi Team Manager to carry out the wonderful work of providing much needed support and assistance to our most impoverished citizens in need in the Lubombo Region in the East of Swaziland. Thembi was born and raised in Siteki, in the Lubombo region of the Kingdom of Eswatini (Swaziland). Thembi completed her secondary school O-levels in 2002. Before joining PDI in 2011, Thembi was involved in a variety of community work projects with fellow church members. She has previously worked for 2 years as a mentor mother at Siteki Nazarene Clinic, specialising in the Prevention of mother to child transmission (PMTCT) program. Thembi holds a certificate in HIV/AIDS counselling and is currently studying a course in Psychosocial Support at the University of Swaziland which will enable her to better serve and understand the families and communities she works with across the Lubombo region. Thembi is passionate about lending a helping hand wherever possible and is a passionate advocate for all those who are suffering in her community. Precious was born and raised in Siteki, in the Lubombo region. She completed her tertiary education in 2013 graduating with an Associate Degree in Business Administration. She likes being with PDI because PDI's heart is what she is passionate about: 'helping those who cannot help themselves until they can stand on their own so they too can help others'. Precious likes serving in the community because God has called us all to love one another and she believes love is action. Nothing gives Precious peace of mind and heart more than to see a smile on the face of the people we help in the community. Samuel is a respected member of the eMaswati community who has been working in positions of leadership throughout the Kingdom of Eswatini (Swaziland)for several decades. From 1993 to 2004 he worked at the Christian Media Centre as a program producer and sound engineer and was studio manager at MPD group in Matsapha for 6 years. His singular gentleness and dedication to the poor and sick make him the embodiment of PDI’s compassionate spirit. He is a mentor to younger members of the PDI team and liaises regularly at community meetings and with local government officials to ensure that PDI is not just partnering with communities, but is an organic part of the community it serves. Sibu was raised in Siteki, the Kingdom of Eswatini (Swaziland)and graduated from Lubombo Central high school with a superlative academic record. He initially became involved with PDI as a lead singer/story teller in the Voices for the voiceless choir and toured with them to Australia in March 2013. In his role as program assistant at PDI, Sibu co-ordinates PDI’s agricultural and Income generation projects for low income families. Sibu's dedication to the poor and diligent work ethic are a great inspiration to his colleagues and community. Farah Al Amin was born and raised in Malaysia before coming to Australia as a student in 2005. After completing her Bachelor of Arts in Media and Communication, she went on to pursue a Master Degree in Film and Television Studies where her true passion lies. Her line of work in producing focuses on co production work with Asia, aside from being involved in organizing several international film festivals in Melbourne. Farah believes that the medium in which she works with serves as a powerful tool for storytelling and allows for the universal language of love and compassion to be shared across continents. When she was asked to produce the Melbourne leg of the documentary following the journey of the PDI Choir on their “Voices for the Voiceless Tour” in March 2013, little did she know the impact that it was going to have on her life. So strong was the influence that the PDI team had on her that she made her first trip to Swaziland 3 months later in June, which further sealed the love that was already growing rapidly. Farah believes the amount of love and compassion that stems from each member of PDI and its holistic approach towards dealing with adverse circumstances makes the organization as unique and warm as it is, and strongly feels that the incredible stories within the group needs to be shared with the international community. Nishani is a medical doctor working in Melbourne, Australia. She co-founded the Possible Dreams Schools Diversity Program. She completed an Honours research degree exploring perinatal mental health in women of refugee background and volunteers with The Water Well Project to improve refugee health literacy. She was born in Melbourne to parents who migrated from Sri Lanka. Nishani is an optimist who firmly believes in PDI’s mission to support and work alongside communities in solidarity to create sustainable solutions. Hui Ling is a medical doctor working in Melbourne, Australia. She recently completed an honours research degree studying the effects of HIV and ageing. She was born in Malaysia and immigrated to Australia at a young age. Hui Ling is passionate about social equity, and end-of-life care. She believes that the strength of Possible Dreams International is its deep respect and love for the people of Swaziland. Poul is the Group CEO for IntoWork Australia, a leading national provider of specialist recruitment, employment, apprenticeship, training and business solutions. This role followed two previous CEO roles at Wesley Mission Victoria and Kildonan Uniting Care. He has seen PDI’s work in Eswatini (Swaziland) first hand and volunteered his business acumen and leadership experience by joining our board. Julia is more than a graphic designer. Julia uses her background in marketing and design to help others achieve their success. She is known for her kindness, positive outlook, generosity and humanitarian nature. She began her career creating designs for non-profit organizations in her local community such as the YMCA, The Humane Society, and other pet rescue organizations. She's taught portfolio and graphic design workshops for graduating students at the University of Florida and local community college. Julia currently resides in Florida where she works as a senior graphic designer for a marketing firm. She and her sister – Judith, received an Honorable Mention for the 2009 New York Book Festival on their first children’s book titled “I love the World because…” and she is currently writing their seventh children’s book coming out at the end of 2018. You can visit more of her work at www.poz-art.com. Mandy Hubbard (BSc, MPH, MSc) was born in the Kingdom of Eswatini (Swaziland)she is of Swazi and Australian descent, and left for Australia over 20 years ago. She is currently employed as a Hospital Scientist, with over 15 years experience, Mandy has a keen interest in Public Health Ethics and Equity. Her passion for her home country and the social issues surrounding the HIV/AIDS are the main reasons for committing to the PDI dream. Mandy also lectures 4th year medical students in Society and Health for the University of New South Wales, giving them insight to the social issues that are faced in Sub Saharan Africa. Frequent visits to family in Soweto and Swaziland keep her in touch with the social and financial impacts of HIV/AIDS. When she’s not working, Mandy enjoys running, yoga and spending time with family and friends. Ishara is committed to using her skills to impact people she works with and works for in a positive way. She firmly believes in the sustainable approach PDI has in the communities we work with and is passionate about empowering people in need. After founding a Financial Education program in rural Cambodia in 2013, Ishara contributed to Australian social enterprise Thankyou’s impact in international development in 2015. Exploring new growth opportunities in the banking sector in 2016, she then commenced the National Australia Bank graduate program. 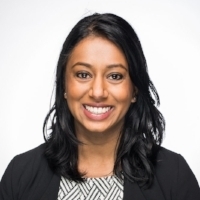 Recognising her project management, and relationship building skills, from 2016-2018 Ishara was a 'Scrum Master' (team leader/ facilitator) leading multiple teams to collaboratively deliver change, using agile and customer-led ways of working. Ishara is a motivated project professional and team facilitator passionate about delivering change. The voices of those suffering from HIV, extreme poverty, endemic disease and malnutrition are scarcely heard in the global discourse. It seems that the rift between the developing and developed worlds grows bigger every day. And yet, the paradox is that there is only one world. Every child, every human life, matters. The only way to begin to redress global iniquities is to translate our belief in universal human rights into the language of action. This is why we call upon you, whoever you may be, to become part of a new dream. To become an Ambassador of the Possible. This is not some abstract, lofty concept. It is infinitely simple. All it requires is a willingness to do your part to help. The details are entirely up to you! Your contribution to this possible dream may be through raising funds, spreading awareness, or simply sharing the message of hope with your friends and family. All over the world, Possible Dreams International has called upon ordinary men and women to become our ambassadors: to raise the banner of hope and share our message of true equity and social justice. David Dunn and Nuworks Theatre Co.